Like most things in this country, the dual Cuban currency seems impossibly complicated. How much money should I take to Cuba? Can I use US dollars? Can I use the ATMs in Cuba? What about tipping in Cuba? I get so many questions about money in Cuba that I wanted to share everything I know about getting money, spending money, and losing money. I’ve been based in Havana for a year so I wanted to share what I’ve learned about the Cuban currency. It’s not as complicated as other people make it appear. 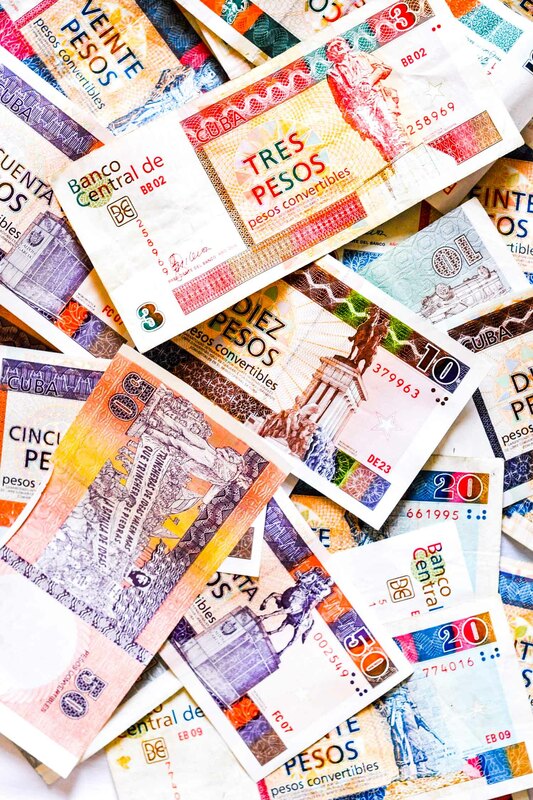 There are two official currencies in Cuba, the Peso Cubano (CUP), which is sometimes called Moneda Nacional (MN) and the Peso Convertible (CUC), or the Cuban convertible peso pronounced cooke or say-ooh-say. Two decades ago only Cubans used CUP and tourists used USD and CUC. But today, Cubans also use CUC and tourists can use CUP. However, it’s not really necessary for tourists to use CUP as nearly everyone takes both CUP and CUC. The Cuban Currency Isn’t Complicated! For example, the prices at the produce market are in CUP. However, I can pay in CUC as long as I have a Cuban peso or some change. The only downside is that I’ll get CUP in change, which I don’t mind because I just keep it for the next time I’m at the market. But the supermarket will take and give change for either Cuban currency. And while restaurants for Cubans offer prices in CUP, you can pay in either. Some tourists like to get money changed into CUP so they can pay accordingly but it’s usually not necessary. Also when you are leaving the country you can exchange your extra CUC back into your home currency at the airport. However, you can’t exchange your CUP. See Cuban Money is Simple! CUC vs CUP? Why Are There Two Cuban Currencies? If you’re nosey like me. I always want to know, but WHY is the Cuban currency this way? After the collapse of the Soviet Union, which had been Cuba’s biggest source of revenue, Cuba entered a special period. This is a nice way to say the country was broke and the average Cuban lost 12 pounds because there were massive food shortages. The country didn’t have money and went back to what it knew well – tourism. It invested in infrastructure and opened to foreigners. However, the Cuban government didn’t want to return to the time before communism when Americans ran the country. So the intent was to keep tourists separated and the outside would not contaminate Cuba. Because of this, Cuba was accused of “tourism apartheid.” Cubans were not allowed to enter hotels or tourist areas like Varadero. In fact, Cubans were not even allowed to be seen with tourists. Initially, the US dollar was also used in tourism. It was technically an illegal Cuban currency until 1993. But then in 1994 the CUC was introduced and Cuba pegged 1 USD = 1 CUC, no matter what was happening with the Cuban economy. In theory, CUP was used to buy things Cubans could afford. CUC was used to take advantage of the wealthy. Things were priced in CUP or CUC, but not both. Products quoted in CUC were more expensive and only available to tourists and rich Cubans. It was essentially a luxury tax against the rich. There were special stores where you could buy household items like a pressure cooker or toaster, not available elsewhere. But the price was always several times more than it would cost outside Cuba. But it was also a way that the government would regain some money from tourists and affluent Cubans. Today, everyone agrees there should only be one Cuban currency. 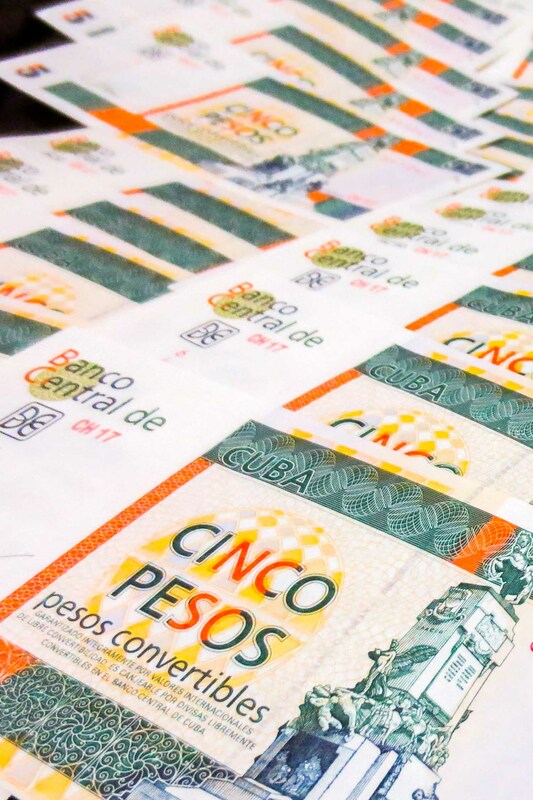 The Cuban government long has promised to do away with the dual currency system as there is no longer a need for separate tourist currency in Cuba. But combining two systems of money in Cuba isn’t easy. It’s similar to Germany when they combined the West German and East German Mark. It is a logistic nightmare to remove one currency, printing more of the second currency and to deal with converting debt. Cuba has a closed currency. It is illegal to take Cuban currency out of the country. You also cannot get Cuban money outside Cuba in advance of your trip. If you’re flying into Havana or Varadero there is a CADECA or Cuban currency exchange office in the airport. The CADECA at the airport is open until well after the last flight at night and before the first flight in the morning. In Havana there are two CADECAs outside arrivals, but if there is a long line head up to departures as the line is usually smaller. Banco Metropolitano or BFI Banks: You’ll need basic Spanish to tell them where you are staying. You will also need your passport. CADECA in town: If you don’t speak Spanish just hand them your money and your passport. They will give you a receipt and make sure you count the money. Hotels: The rate isn’t as good but it can be done in English and you probably won’t wait in line. Black Market: US dollars always get a better rate on the street. The USD is always .87 to 1 CUC. However, on the street you can get it for .93-.96. However, the risk is higher for counterfeit or Cuban currency out of circulation. Many AirBNB or casa particular hosts will offer this service, it’s much safer than a stranger approaching you on the street. 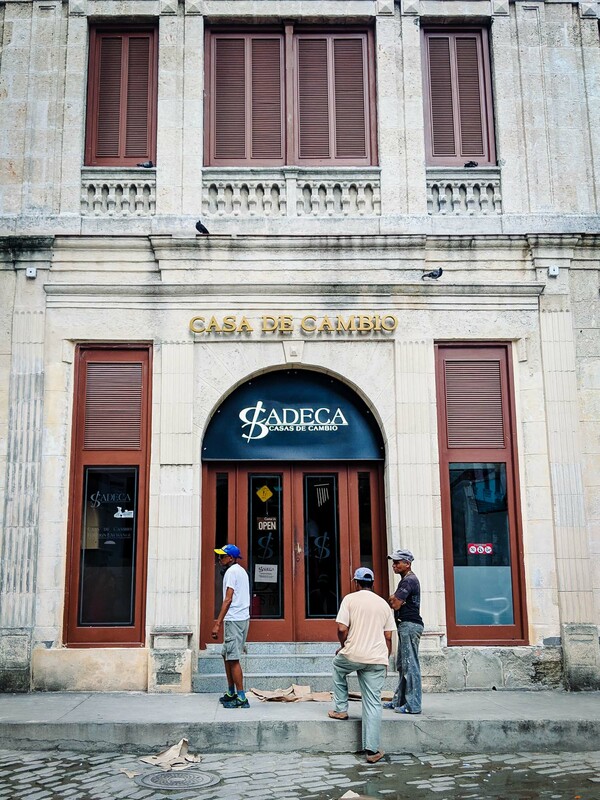 Some CADECAs and banks have long lines as Cubans also use them to exchange Cuban currency. Do not wait until the last minute to change money. All foreign exchange in Cuba has a 3% exchange fee. So you’ll lose an additional 3% on top of the official exchange rate. The exchange rates for all foreign currencies is posted here daily. However, because of the embargo there is also an additional 10% for US Dollars. This means the official exchange rate from US Dollars to CUC is always 87 cents. 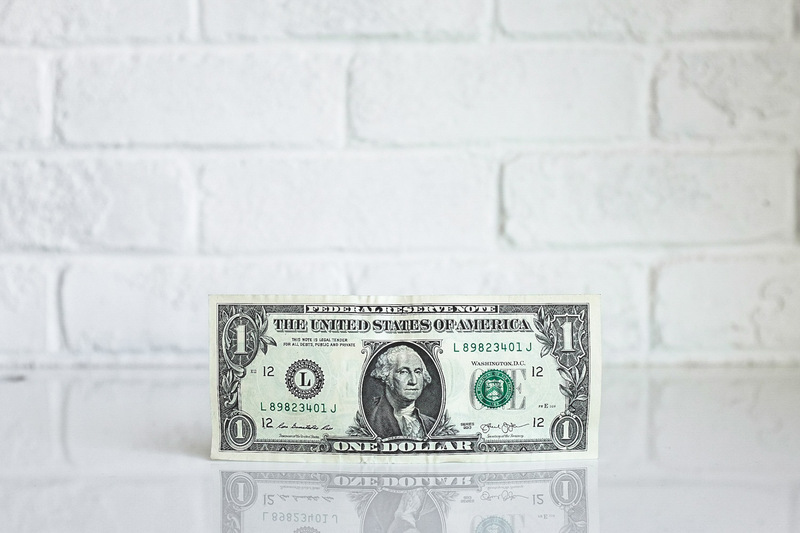 So most Americans are told if they want to get the best conversion rate they should either convert their American dollars to Euros, British Pounds or Canadian dollars before coming. After all you won’t lose the additional 10%, right? If you are American you need to investigate how much it costs for you to change your currency into Euro, British Pounds or Canadian dollars. Yet, if you have a bank account with zero exchange fees and it’s easy to do it’s a no brainer. 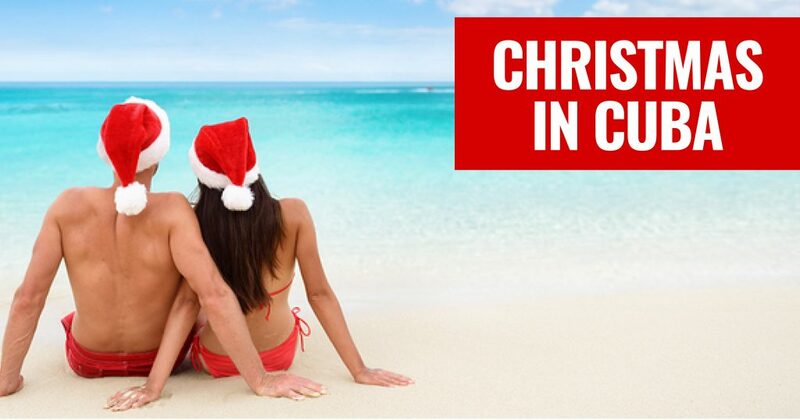 But if you’re staying in a resort and only exchanging a few hundred dollars you may only save 3%. So that’s $15 for every $500 exchanged. What About Changing CUCs back to USD or Euro? A 3% conversion applies, so again it depends on if you can get a good exchange rate from Euros to US Dollars. For the hassle, it may be easier simply to convert to USD and lose the initial 10%. Keep in mind if you’re tipping it’s perfectly fine to tip in American or Canadian dollar bills. Cubans can exchange bills but the Cadecas will not take coins. The bills must be new, unmarked and without any tears. My first visit to Cuba I had no idea what the country would be like. Everything I read made it seem like a country frozen in time wouldn’t have ATMs. But Cuba isn’t frozen in time. They have banks and ATMs. My second visit I brought money but also tried using my ATM card and it worked! When I travel to Cuba I do not bring money and exchange it. I use ATMs. Most ATMs in Cuba only allow a 40 bill max withdrawal. So that means if the ATM is dispensing 5s you may only be able to get 200 at a time. However, machines dispensing 20s could give you 800. The airport ATMs often use higher bills and you can avoid the crowded CADECAs. However, using the ATM doesn’t mean you bypass the 3% currency exchange fee at the CADECAs. Cuba ATMs charge a 3% fee on top of what your bank charges for international withdrawals. Also I would never visit a city outside Havana without bringing lots of Cuban money. My debit card may work in Havana but there’s always a chance in won’t work in another town. Unfortunately American debit and Visa cards do not work in Cuba. It’s not Cuba’s fault, it’s the American embargo blocking the transaction. Note: Both CIBC and TD Bank have a fraud prevention system where a transaction is first declined and then you will receive a text confirming whether it was you or not. You’ll need to have your phone roaming in order to either confirm the text or call the bank to confirm it was you. There are no reported problems using bank cards from the UK. Others confirmed that these banks work in Cuba. Cuba is a cash-based country. Most places do not have the capacity to take credit cards. Visa is the most common, then Mastercard. American Express does not work in Cuba. Often hotels and resorts will accept credit cards but you will need to show identification. Instead of carrying your passport out when you travel just take a photo of it on your phone and show it when presenting identification. 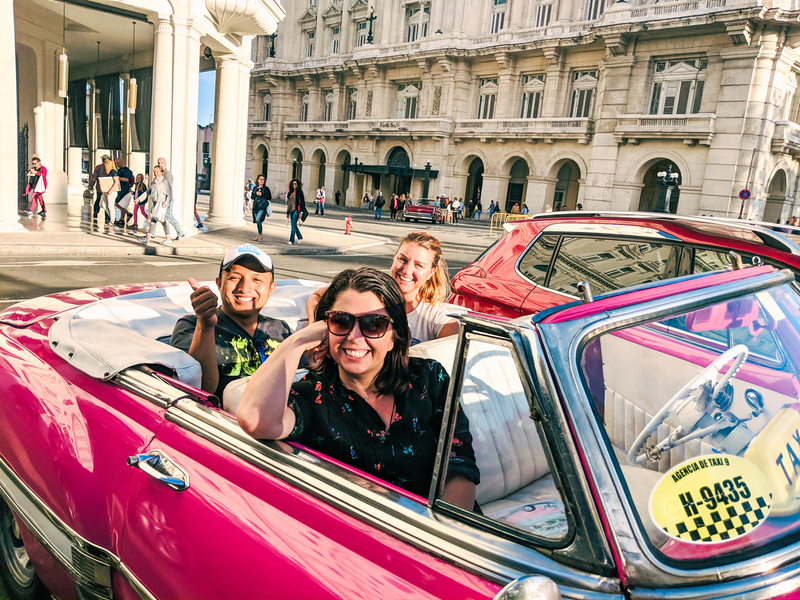 My friends and I negotiated a 2-hour pink convertible tour for 40 CUC. 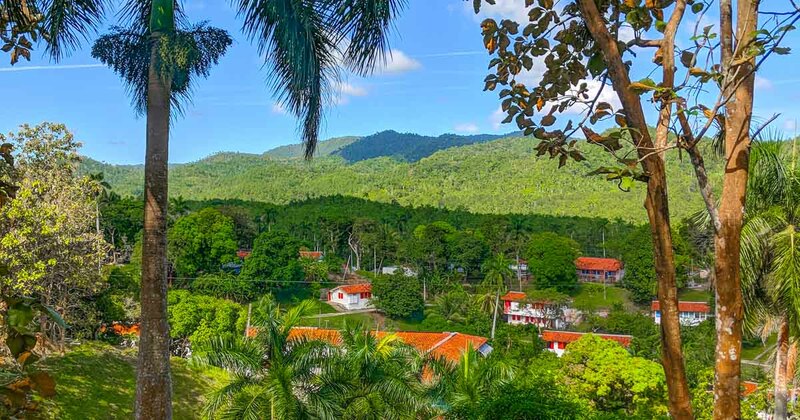 Despite all of the economic problems in Cuba, it is not a cheap country. It’s not cheap for Cubans and it’s not cheap for tourists. 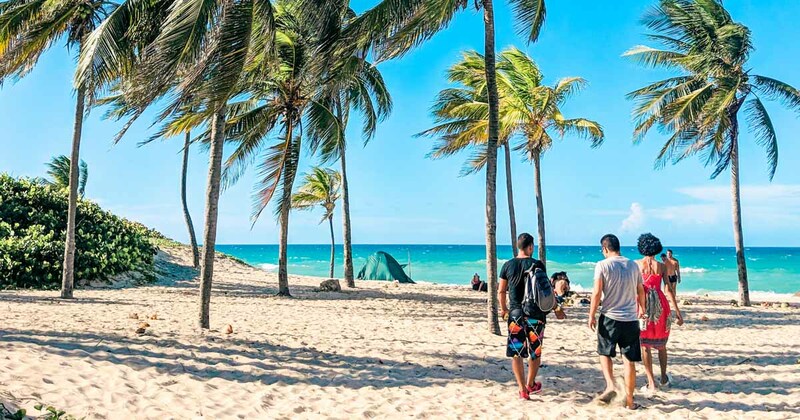 While Cuba is known to have some of the cheapest all-inclusive packages in the Caribbean, it is quite expensive to travel independently. Remember tourism was introduced in the 1990s and independent travel is developing with the possibility of casa particulares, paladares and independent tour operators. The rule of thumb is $100 per person per day. Of course you can spend much more than this on luxury hotels and restaurants. And on the flip side you can stay in cheap casa particulares, drink rum at the malecon and eat peso pizza. Transportation is one of the most expensive aspects. My friend is a taxi driver who owns a modern SUV and charges $140-180 to drive from Havana to Varadero. On the flip side the Viazul bus takes twice as long but is only $10/person. You can eat traditional Cuban food at a local joint for under $5 or you can eat lobster tail in a restaurant in Old Havana for $20. 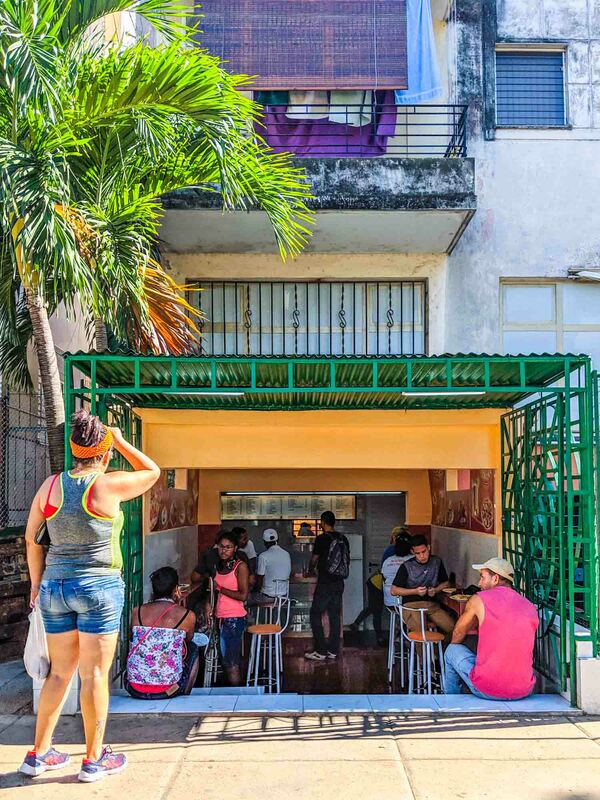 The most famous paladar is La Guarida in Havana, which costs roughly 40 CUC per person. This is why you rarely see Cubans eating here. The same is true for drinking. A bottle of rum at a store costs $5 and beer are $1.25-1.50. At the stunning Hotel Packard bar beer is a whopping $6, whereas most other hotels sell it for $3-4. Old Havana has the most tourists and is the most expensive to get the famous Cuba Libre cocktail, something I’ve never seen a Cuban actually drink. I hate it when I’m there and I have to buy water as it can be double the price of my neighbourhood, Vedado. It also tends to have the pricest drinks unless it’s happy hour. If you want to follow Hemingway in Cuba you’ll find overpriced mojitos and daiquiris. Step out a bit farther to Vedado or Centro and you’ll still find nightlife. But with more Cubans and a cheaper price. Plus some of the best bars in Havana are in Vedado. The biggest fear for Americans is not budgeting enough money and running out. Without access to Cuban ATMs, it’s a possibility that you could run out of money. There are three ways around it. Western Union. Americans can send money online (you’ll need a VPN, more here). Other travelers will need a loved one to do it. One hitch: it can only be sent to a Cuban. So you’ll need someone you trust to put it in their name. AirBNB. Hosts can charge you for additional services. The fee appears on your credit card and they can give you the cash. Find a foreign friend who you can either send money by electronic bank transfer, Venmo or Paypal and then ask them to take out money. You’ll need to download these apps before you arrive in Cuba. 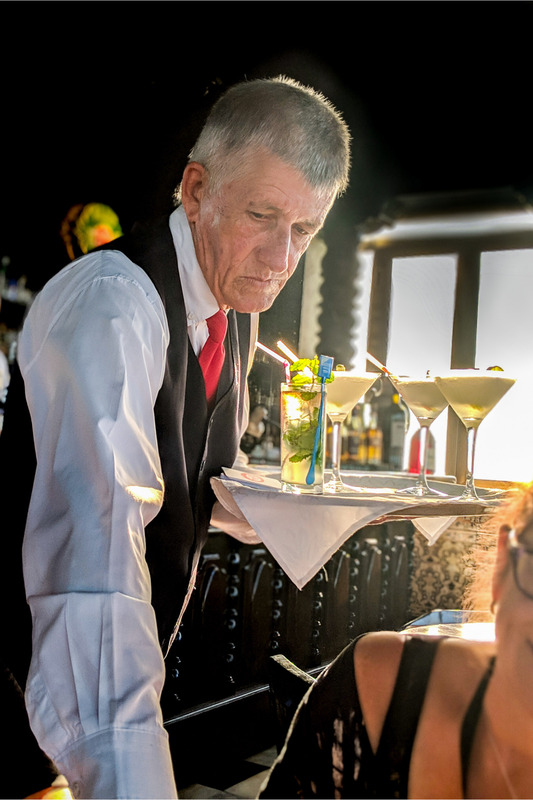 Tip your server well at hotel bars like Xanadu in Varadero. Standard tipping is 10% at restaurants. In tourist restaurants feel free to tip more. In Cuban restaurants my friends usually just leave whatever change is left from their bill. At resorts tip your maid 1 CUC per person per day. A ten cent CUC coin is acceptable for washroom attendants. Some people have issues paying to go to the bathroom but it’s a voluntary tip. If you don’t want to pay don’t take the toilet paper. However, keep in mind these people aren’t employees. They usually buy the toilet paper themselves and keep the bathroom clean. Instead of looking for a handout they have found a way to earn money. You likely won’t be driving but Cubans pay parqueadores, or parking attendants. My friend usually pays 25 cents to 1 CUC, depending on where we are, to make sure no one steals his electric motorcycle. Musicians. You’ll find them in bars, restaurants, on the streets and along the malecon. They’ll take a few song requests and giving them 1 CUC is enough. Most of the Cubans that tourists encounter (waiters, AirBNBs owners, taxi drivers) are the most well off in Cuba. You can buy most of these items in major cities. The best thing to do is give Cuban money instead of gifts. Tip well so people can buy what they want. People in rural areas do not have the same access to every day items but you likely won’t encounter them. To ensure your gifts are sold, leave them at a place of worship. Both the Beth Shalom synagogue in Vedado on Calle J and Linea will distribute to needy families as well as St. Elvira’s Church in Varadero and Ministerio Jireh Cuba in Holguin. At budget Cuban restaurants prices are often on a board and in CUP but you can also pay CUC. Always count your change. When I’m with Cuban friends they always check the restaurant bill and they always count their change. About 25% of the time there is a mistake. Make sure to check your bills and or coins to ensure that you’re getting the right Cuban currency as change. 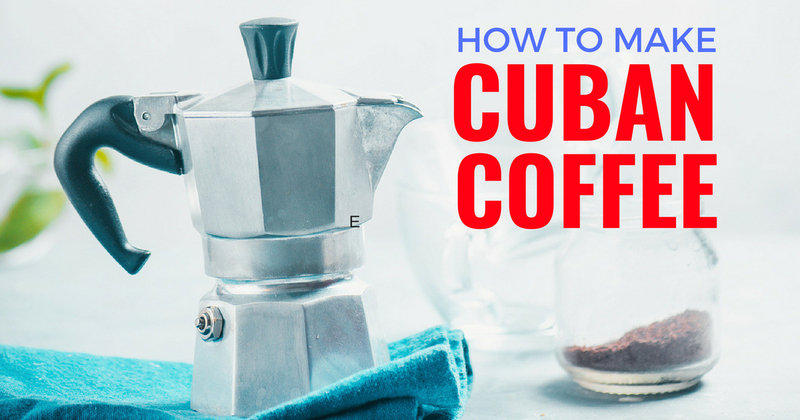 If you’re supposed to get 5 CUC back in Cuban money, make sure you haven’t been given 5 CUP. The money looks similar but CUC is multicoloured and says convertible pesos while the CUP is shades of one colour. I had a mental block when I first arrived of not wanting to offend people by counting change in front of them. That was stupid, everyone does it. If you’re ordering a drink at the bar get a menu or first ask how much it is. Sometimes bartenders like to take advantage of this. It happened to me once at a really nice bar, two drinks cost me $10. When I gave my Cuban friend my drink and complained about the price he was furious I was charged so much He immediately went to see the bartender who did not give us money back, but did give us each a second cocktail. Although tipping is generally 10%, some tourist restaurants include a mandatory service charge. Yet, at the famous semi State-owned restaurant Los Nardos, our server told us that they don’t get those tips. I don’t know if that was true or not, regardless I would not recommend Los Nardos for its food alone. Finally I have heard some restaurants have tourist menus and local menus with different prices. If you understand Spanish always ask for the Cuban menu. I always just say I’m trying to learn more Cuban Spanish, which is true. 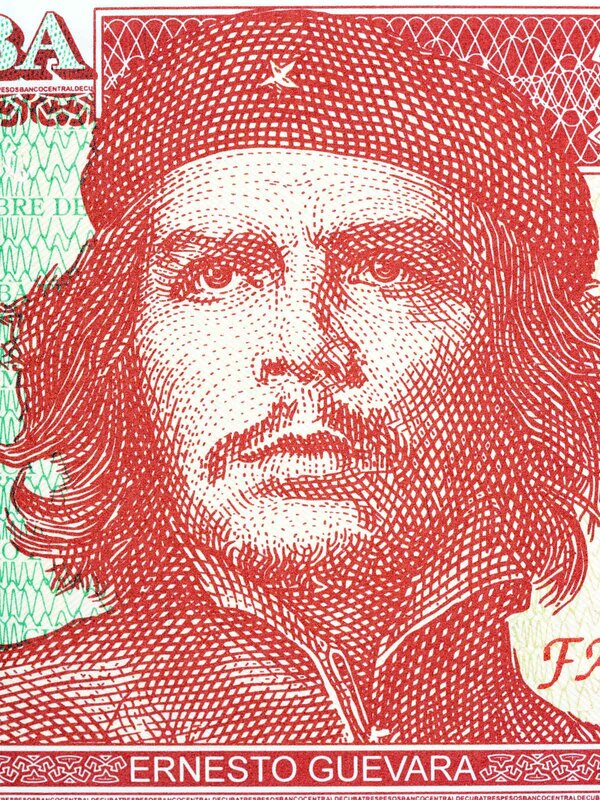 In less than a day you’ll notice that Ernesto Ché Guevara is everywhere. He was a hero of the revolution and he was also briefly in charge of the central bank. 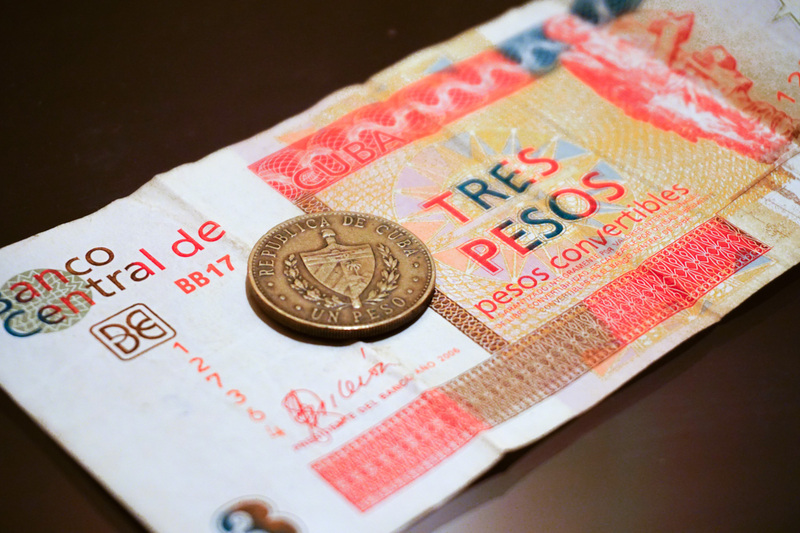 For this reason he is also on the three Peso Nacional banknote and the three peso coin. Although it is technically worth 15 cents, it has a higher street value as tourists love to have them as souvenirs. Many vendors sell them for 1-3 CUC. It’s not a bad price for a souvenir. However, if you’re somewhere that has CUP just ask if they have one and you can get it for much less. Dinero. Moneda. Dolars. There are always a million ways to say Cuban currency. But on top of that Cuba has so many slang words for money that do not exist elsewhere. Still confused about Cuban currency? Or exchanging money in Cuba? If you have any Cuba money questions let me know in the comments below and I promise to answer! Want More Cuba Travel Tips? Wow thank you for this detailed article! I’m planning on going to Cuba this year and will make sure to bookmark this! Thank you for the article! Is there an app you’d recommend for the Cuban money conversion? Well I list a bank website in the post above but I tend to use xe.com or just google the exchange rate for the Cuban peso.